Must I Give Up Windows XP? Will the Kindle Fire Spark Business Interest? Welcoming the HTML5 Dev Center! Poll: Are Google users the customer or the commodity being sold? Have You Seen What’s Happening To Netflix’s Stock? Are Mobile-Style Interfaces Leaving Desktop Power Users Behind? Will Microsoft compensation changes help retain employees? Are frameworks making developers dumb? Poll: What is the future of desktop app development? How to Communicate Between Two Local Silverlight Applications? A few Mozillians to read and follow. I’ve had lots of requests from my readers for recommendations of folks at Mozilla to follow. Great to see so many people interested in broadening their horizons. I’ll be building blog roles and lists on twitter but to get you started, here is a list. If you follow them, say hi and let them know how you found them ! 13 reasons why CSS-based layouts are superior to table-based layouts. Should Microsoft make a break with the past and drop legacy support? Google’s Motorola acquisition: Nail in the Android patent coffin? Forget eight cores. AMD is planning a 10-core desktop CPU for 2012. What if Chromebooks were made by Apple? Sun CEO explicitly endorsed Java’s use in Android: What do you say now Oracle? Poll: What’s the best route to writing mobile apps? What is Microsoft Lightswitch ? HP officially launches webOS TouchPad … again? With Borders dead, what’s going to happen with Kobo? Poll: Are you nervous about your applications’ security? 7 cloud services compared: How much control do you give up? Are social media and mobile app jobs just fads? What do iPhone 5 and iPad 3 rumors mean for business users? Why is JSON so popular? Developers want out of the syntax business. Is Microsoft Blowing Smoke When It Says It Won’t Be Hurt By the Cloud? Has Unity Knocked Ubuntu Off Its Pedestal? Your next job: Mobile app developer? Is Apple really using Windows Azure to power iCloud? Chromebooks officially on sale: Is your school buying? Video from the WWDC 2011 keynote. Poll Results: Is the tablet PC form factor a fad or a glimpse into the future? Does Azure mean the death of the datacenter or the rebirth of Windows? Many folks have emailed me in recent weeks trying to find some of my old videos or tutorials. The ASP.NET Web Site has been undergoing a series of incremental improvements and the site management team is working hard to improve the experience and expose all of the available learning resources. While they’re continuing the “findability” work, here is a list of end-points on the ASP.NET Web site that might help you find the training materials that you are looking for. MVC Conferenve Video – Put your controlers on a diet. Orchard 1.1: what’s in it for developers? Programming For The Public Cloud? Can you measure the value of a Facebook Like? FlashDevelop is a free and open source source code editor. Is there a way to get WebPI to install Products in an offline way? 7 dirty consultant tricks and how to avoid them. Why Can’t Developers Estimate Time? iPod to get WiFi syncing? DaST Concept: A simpler, smarter, and much more powerful alternative to Forms and MVC. The Commodore 64 is back! My Website Design Doesn’t Look The Same In All Browsers! Did the Microsoft Stack Kill MySpace? 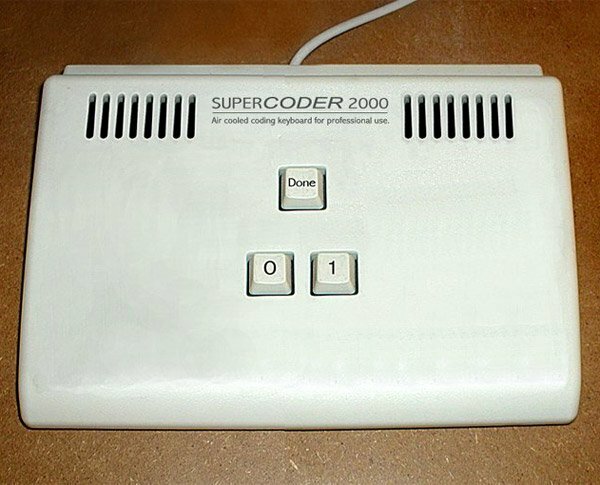 The Keyboard for REAL Developers ! Microsoft Web Platform Installer APIs: Install a product from a custom feed. Just how many mobiles can use HTML5 anyway? Is the future of gaming HTML5? What’s so good about jQuery? StackOverflow – What’s thedifference between MVC and MVP ? Visual Studio 2010 Feature Pack for MSDN Subscribers. Combres – WebForm & MVC Client side combiner library. Telerik Extensions for ASP.NET MVC. Winter 2010 State of the Web. Top iPad apps for the enterprise. Greater Interoperability for Windows Users with HTML5 Video. FeedForAll tool to author Podcast RSS Feeds. Top HTML5 Tutorials from HTMLGoodies. Microsoft Surface 2.0 price $7,600. An Introduction to ASP.NET MVC Razor. eWeek on how Cool Microsoft WebMatrix is. Cool new book from Packt. Rick Strahl on Changing HTML Form Targets with jQuery. Every week I come across a dozen interesting things on the web. So, starting this week – I’ll be sharing them. Here are this week’s. WampServer – A quick was to get the PHP stack up and running on Windows. Simple, but not as rich as the Microsoft Web Platform Installer. PHP in 2010 – A retrospective. WordPress hits 32 MILLION users in 2010 ! Microsoft continues to support PHP developers with Drupal support. Adobe Illustrator to HTML5 Canvas Exporter utility.